Global cloud security firm, Trend Micro have announced Bernadette Harkin from Loreto College Cavan as the 2014 Overall School Winner and Johnathan Connolly from Tuam, Galway as the 2014 Overall Individual Winner of their “What’s Your Story” Competition, which encourages students and coders from primary and secondary schools to tell their digital success stories and promote online privacy. The competition invites young people to become advocates of their own online message through a short 2 minute film or poster. Winners were shortlisted on the competition site through public voting where entrants were encouraged to use social media to spread their message and increase their chances of winning. This whole concept promotes the positive and safe use of technology and social media. 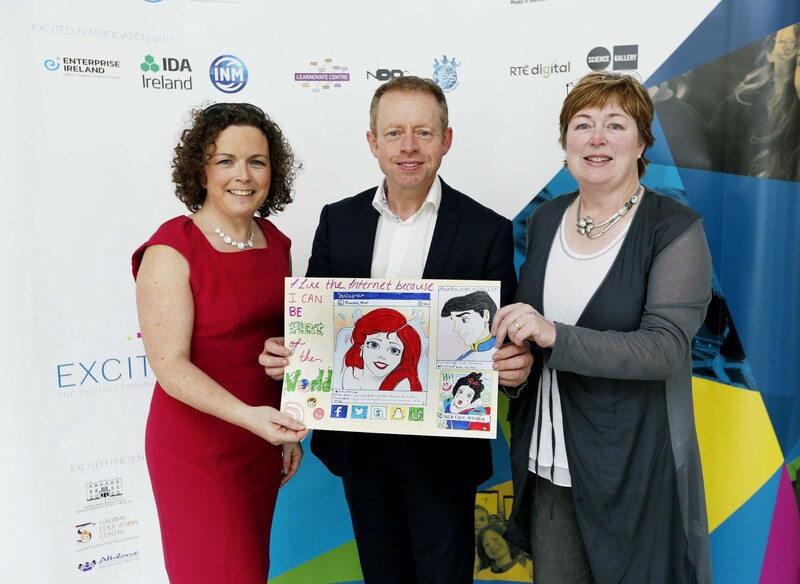 Loreto College Cavan took home the 2014 Overall School Winner prize of €3000 for the poster “Part of the world” which depicts Ariel from the Little Mermaid as a user of social media. The 2014 Overall Individual Winner was Johnathan Connolly who won €1,500 for his video “internet safety and advice”. “This is the third year of the programme and it is really encouraging to see the calibre of the entries we are getting. Students as young as eight are getting involved, getting creative but having fun promoting cyber safety and online privacy,” said Avril Ronan, Global Programme Manager for Internet Safety at Trend Micro. “The Internet can be a wonderful resource, it offers tremendous opportunities for learning, creating, working, sharing and having fun but it can also pose hazards. The “What’s Your Story” competition aims to inspire kids when it comes to how they achieve success online while protecting their privacy, reputation and safety,” she added. The overall school winner was congratulated at the EXCITED digital learning festival by Minister Ciaran Cannon. Loreto College Cavan teacher Mags Amond, accepted the wining cheque and had plenty planned in terms of investing in digital equipment and treats for her class. The festival was attended by leaders in education, enterprise sectors and students nationwide, and offered two days of collaboration, discovery, challenging discussions by students and creative thinking about a learning revolution and the future role of digital learning in the education of Irish students. “However we still need to promote digital safety and -the world of opportunities offered online, and it is encouraging to see companies like Trend Micro promoting this positive message to young people in schools across the country,” he added. Age 8 to 12 Poster: “Tips for Online Safety” Marija Petrova, Limerick. Age 13+ Video: “Everything Isn’t As It Appears” Conor Cronin, Cork. Age 13+ Poster: “I can do ANYTHING with the internet” Sinead Cronin, Cork.